I have this exact duck but in yellow. It also has a faded number on the bottom just like yours. I found it off the east coast of Scotland. Did you ever figure out where these come from? Hi Craig, unfortunately no we never found out exactly where this one came from – other than it was likely a part of a “duck race” fundraiser. 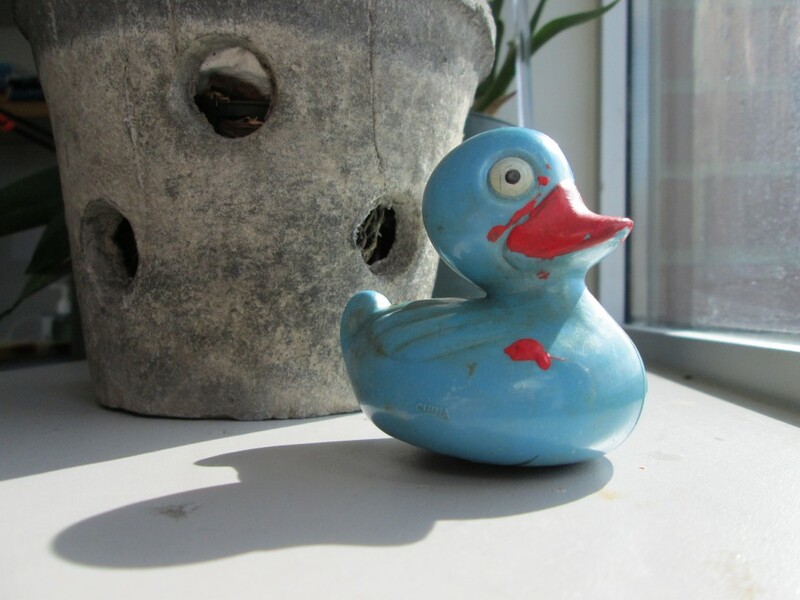 My son just found the same blue duck #439 in Rockport, Massachusetts. We are curious where it came from. Would love to hear from you! Interesting! 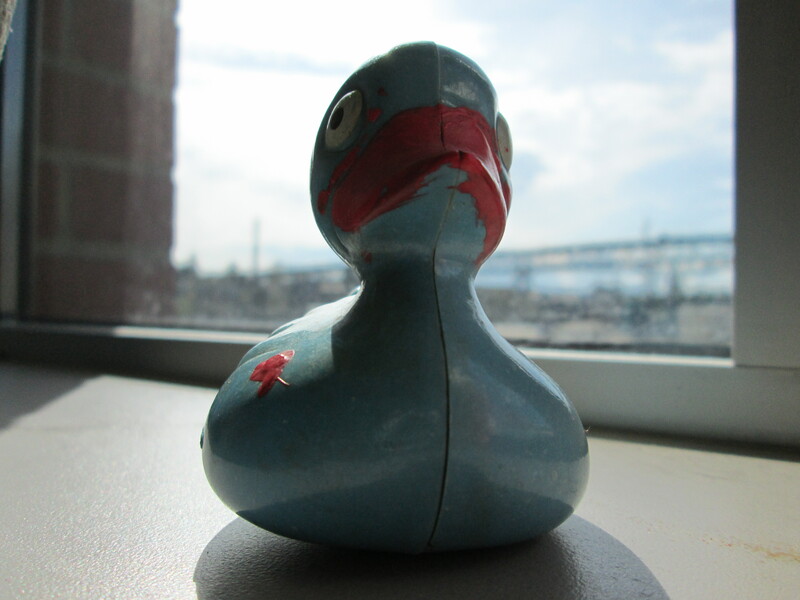 We have not yet figured out exactly where this one came from, except that it was likely part of a “duck race” fundraiser somewhere. 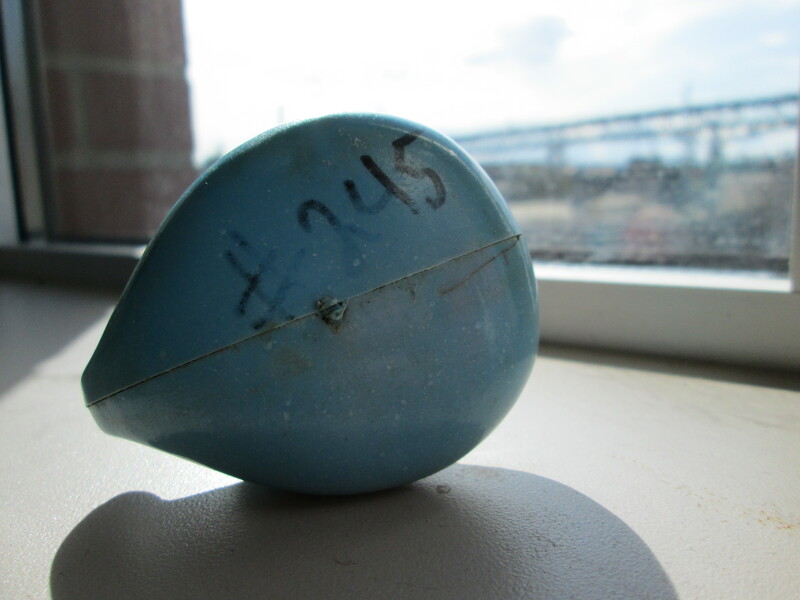 I founded two matching, numbered blue plastic ducks on different beaches in Prince William Sound in May 2014. 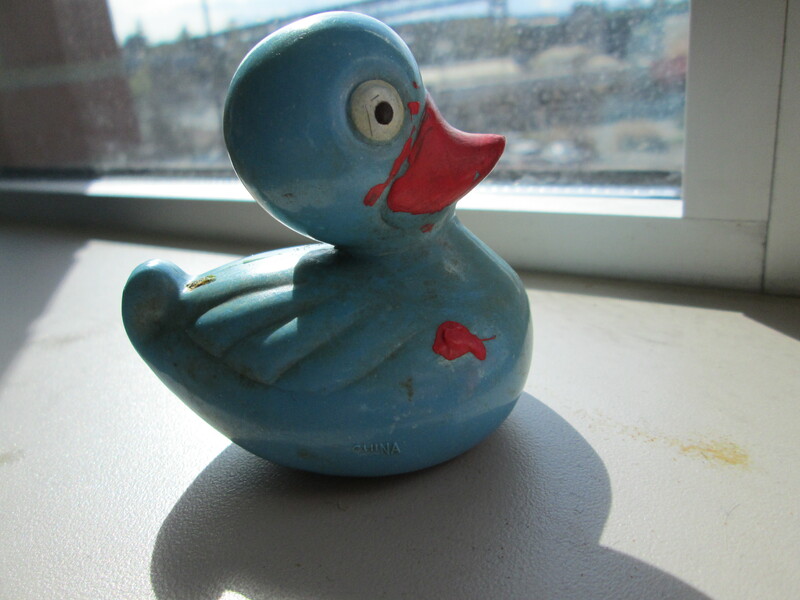 No one I’ve contacted here in Alaska has any idea how they came to be set adrift, as the local charity Duck Race events all use yellow ducks, not blue ones. “My” ducks were numbered 30 and 63—perhaps they are a mate to your 245? 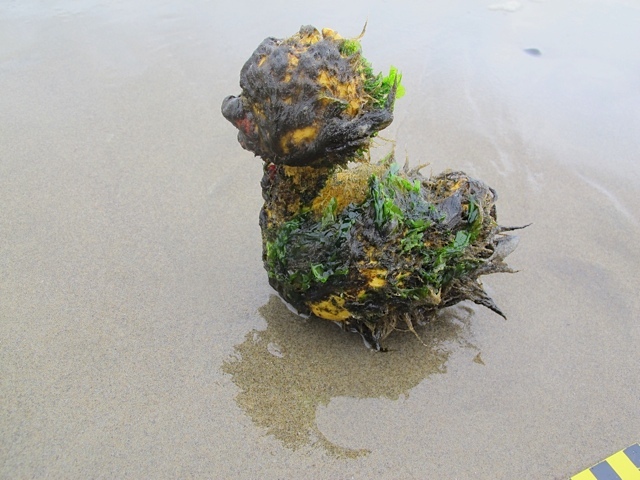 See my post on the local boating forum: http://forums.outdoorsdirectory.com/showthread.php/141592-Blue-plastic-ducks-found-beachcombing-Anyone-else? Hi Steve! Thanks so much for letting us know. If you find out where they came from, please let us know! We’re still on the lookout!